The Samsung Galaxy S7 Active is a rugged, durable version of the flagship Galaxy S7 smartphone. The Samsung Galaxy S7 Active is shatter-resistant, water-resistant and is built for people who lead an active lifestyle. 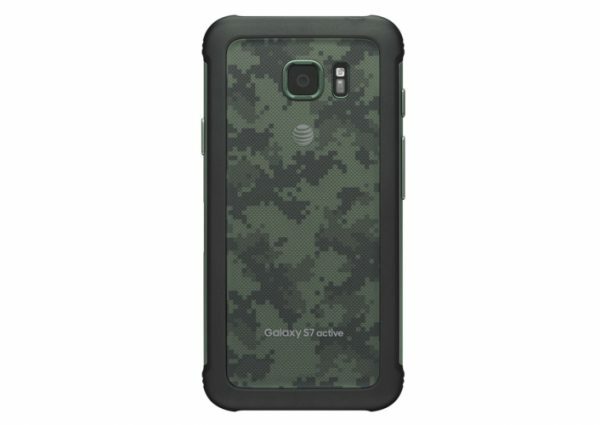 The Galaxy S7 Active is currently an AT&T exclusive. Though using a case/cover is not an absolute necessity with the Samsung Galaxy S7 Active, a good case/cover helps protect your Galaxy S7 Active from dust, scratches and fingerprints. Listed below are the top 10 best Samsung Galaxy S7 Active cases and covers. 1. Supcase Unicorn Beetle Pro Series Samsung Galaxy S7 Active Case: The Supcase Unicorn Beetle Pro Series Samsung Galaxy S7 Active Case offers top notch heavy-duty 360-degree protection to your device from drops, bumps, shocks, scratches, dust, smudge etc with its dual layers and built-in screen protector. The Supcase Unicorn Beetle Pro Series Samsung Galaxy S7 Active Case sports a belt clip holster and is available in 3 colors. 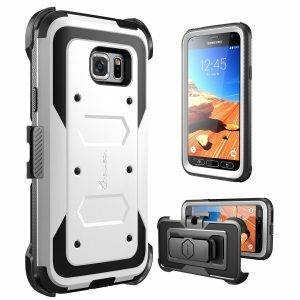 2. i-Blason Armorbox Samsung Galaxy S7 Active Case: The i-Blason Armorbox Samsung Galaxy S7 Active Case is a tough case for a tough smartphone. The i-Blason Armorbox Samsung Galaxy S7 Active Case offers full-body protection in a slim, lightweight design. 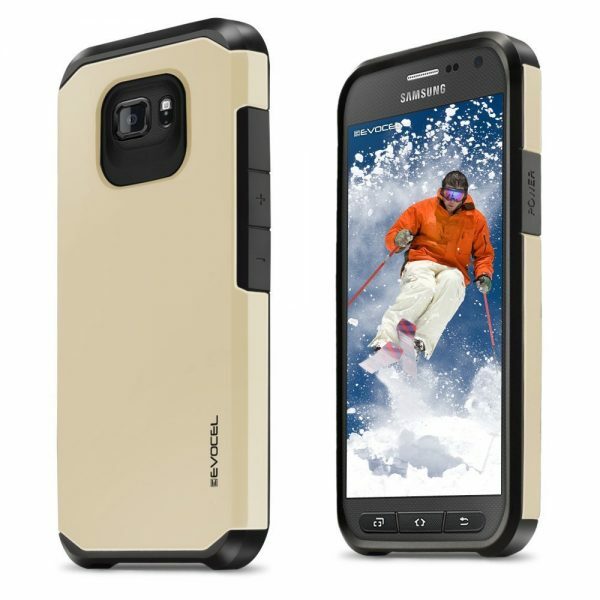 This shockproof case also features a built-in screen protector and a belt clip swivel holster. The i-Blason Armorbox Samsung Galaxy S7 Active Case is available in 4 colors. 3. 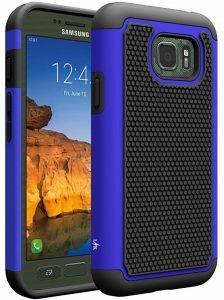 Tudia Merge Samsung Galaxy S7 Active Case: The Tudia Merge Samsung Galaxy S7 Active Case is made from high-quality TPU & PC and offers a slim-fit. The snap-on case is easy to install/remove and the raised bevel protects the display from scratches. 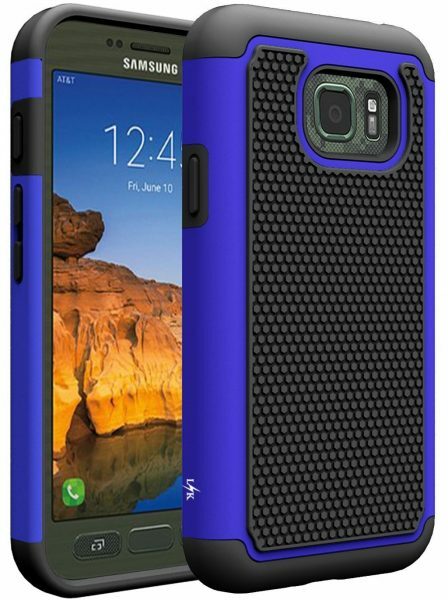 The Tudia Merge Samsung Galaxy S7 Active Case is available in 4 colors. 4. 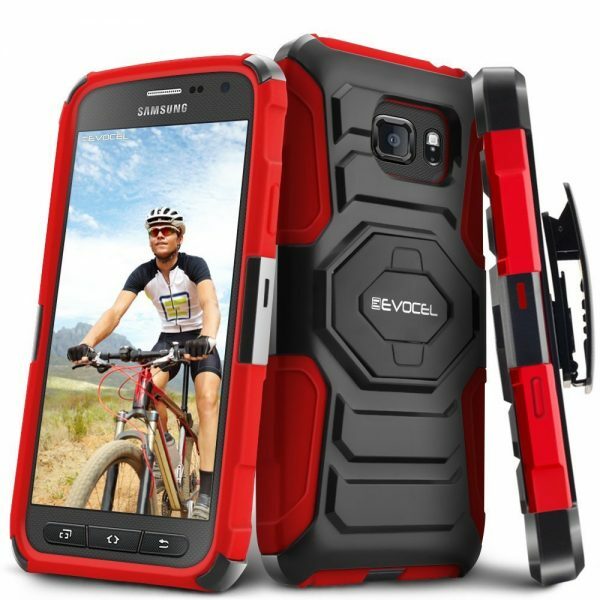 Evocel Samsung Galaxy S7 Active Rugged Holster Case: The Evocel Samsung Galaxy S7 Active Rugged Holster Case is the most stylish holster case for the S7 Active available right now in the market. The rugged holster case offers dual layer protection and features a 180-degree swiveling belt clip holster, a built-in locking kickstand. 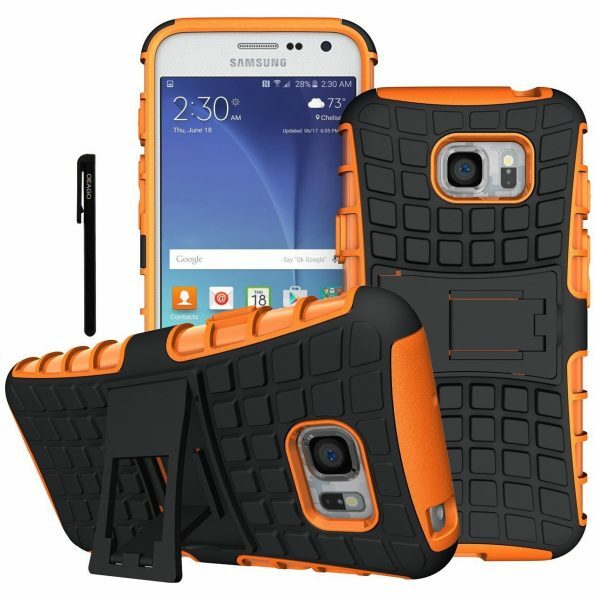 The Evocel Samsung Galaxy S7 Active Rugged Holster Case is available in 5 different colors. 5. LK Samsung Galaxy S7 Active Wallet Case Flip Cover: If you need a good wallet case for your Galaxy S7 Active, the LK Samsung Galaxy S7 Active Wallet Case Flip Cover is a great choice. 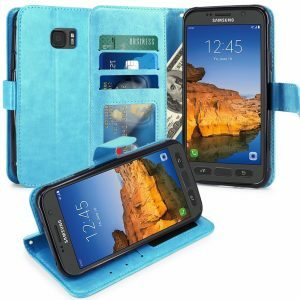 The LK Samsung Galaxy S7 Active Wallet Case Flip Cover is made from PU leather and features 3 card slots and a cash compartment. The flip cover also functions as a built-in kickstand. The LK Samsung Galaxy S7 Active Wallet Case Flip Cover is available in 5 different colors. 6. Cimo Wave Samsung Galaxy S7 Active Case: The Cimo Wave Samsung Galaxy S7 Active Case looks good and offers a perfect super-slim fit. 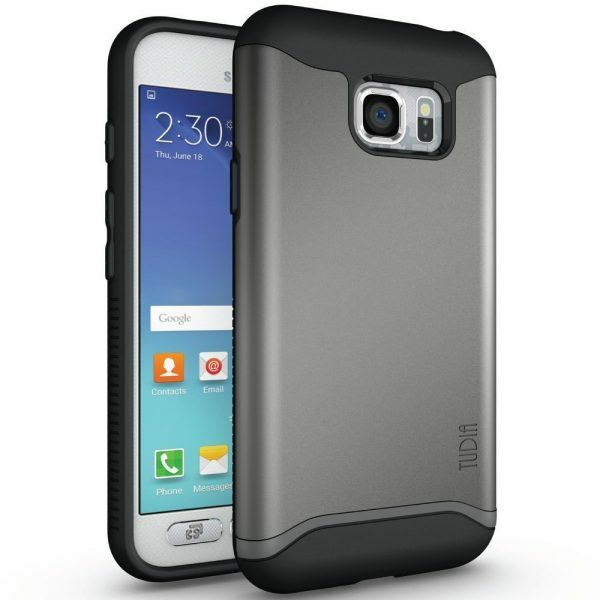 The case is made from shatterproof, shock absorbing TPU material that also provides a good grip. 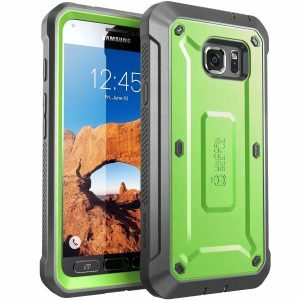 The Cimo Wave Samsung Galaxy S7 Active Case is available in 3 colors. 7. Evocel Samsung Galaxy S7 Active Hybrid Armor Protector Case: The Evocel Samsung Galaxy S7 Active Hybrid Armor Protector Case looks stylish with its dual colors. The case gets a nice smooth finish and offers decent protection to your S7 Active from dust, scratches etc. The Evocel Samsung Galaxy S7 Active Hybrid Armor Protector Case is available in 6 different colors. 8. 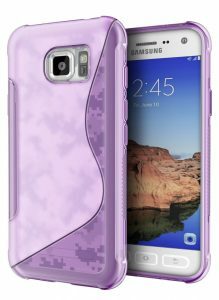 LK Samsung Galaxy S7 Active Armor Case: The LK Samsung Galaxy S7 Active Armor Case features shock absorbing bumpers and offers amazing no-slip grip. 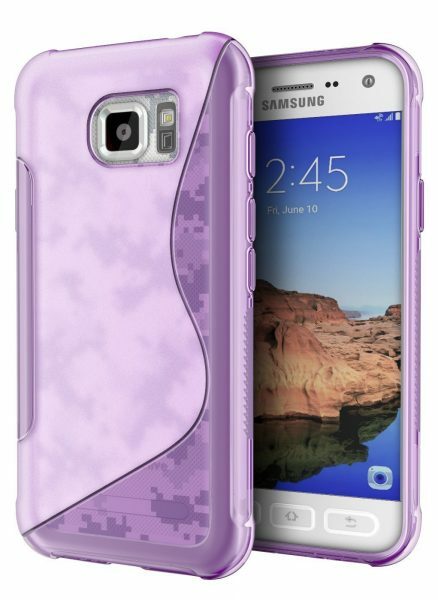 The LK Samsung Galaxy S7 Active Armor Case is available in a total of 8 different colors! 9. 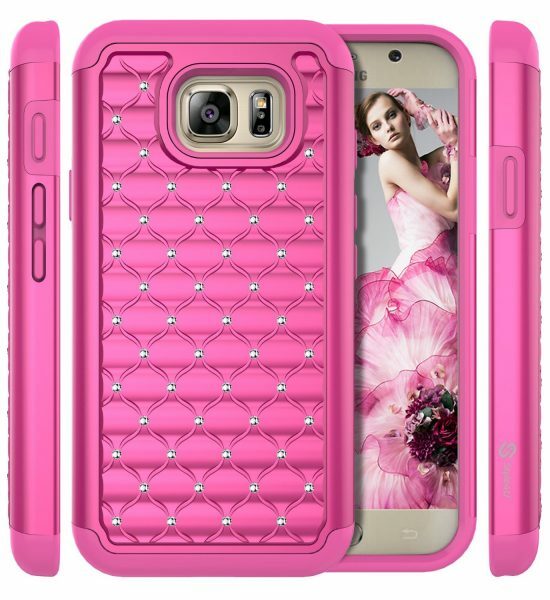 Style4U Samsung Galaxy S7 Active Bling Case: If you have passed on the extremely beautiful Galaxy S7 for the ruggedness of the Galaxy S7 Active, the Style4U Samsung Galaxy S7 Active Bling Case brings some of that beauty back to your device. The Style4U Samsung Galaxy S7 Active Bling Case is studded with rhinestone crystals that shine brilliantly. The Style4U Samsung Galaxy S7 Active Bling Case is available in 7 very attractive colors. 10. Oeago Samsung Galaxy S7 Active Case: The Oeago Samsung Galaxy S7 Active Case is impact resistant, shockproof and protects your device from drops and bumps. The built-in kickstand is very useful and the case comes with a free stylus. The Oeago Samsung Galaxy S7 Active Case is available in 6 colors. These are the top 10 best Samsung Galaxy S7 Active cases and covers.